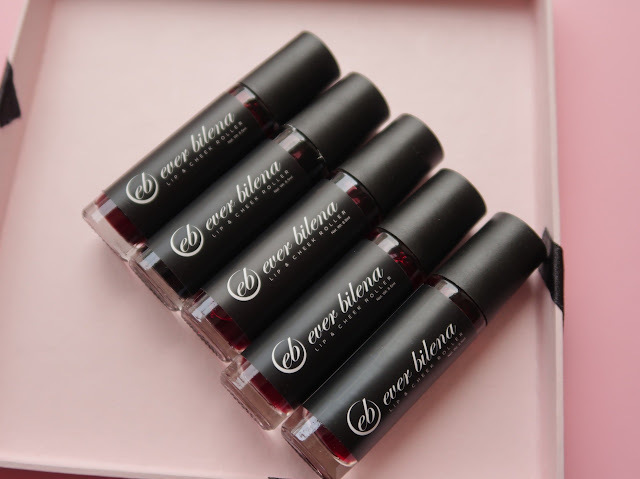 Ever Bilena Lip and Cheek Roller Tint Review + NEW SHADES! Truly, it's the year of lip and cheek tints. Left and right, we're seeing brands coming up with their own and at a fast pace! Ever Bilena released their 130-peso offering a couple of months back and here they are with five new shades! 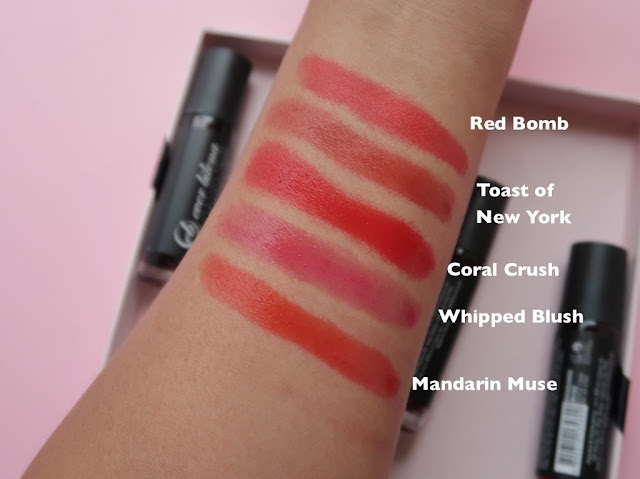 Let's swatch them and it's also my first time to try this product so let's review! Consistency is liquid and it's very pigmented. It stains well too and it took me a while to remove the color residue from this swatch! Here's me wearing my easy favorite, Toast of New York on the lips and cheeks. TBJ TIP: If product will be used on a dry surface (after makeup; after powder), apply a small amount and dab from the apples up to the temples; in between dabbing, swipe a finger across the tint to get rid of streaks and prevent staining. Follow the tip above if you will use it in dry application because the product has a tendency to stain the skin. Product has really good staying power! It lasts the whole day, on oily skin, and even in an intense workout. However, I got a zit on my cheek a day after I used the product. I really like Toast of New York because it flatters my skin tone, but I don't think I will use this on my cheeks again because it may cause me to break out. 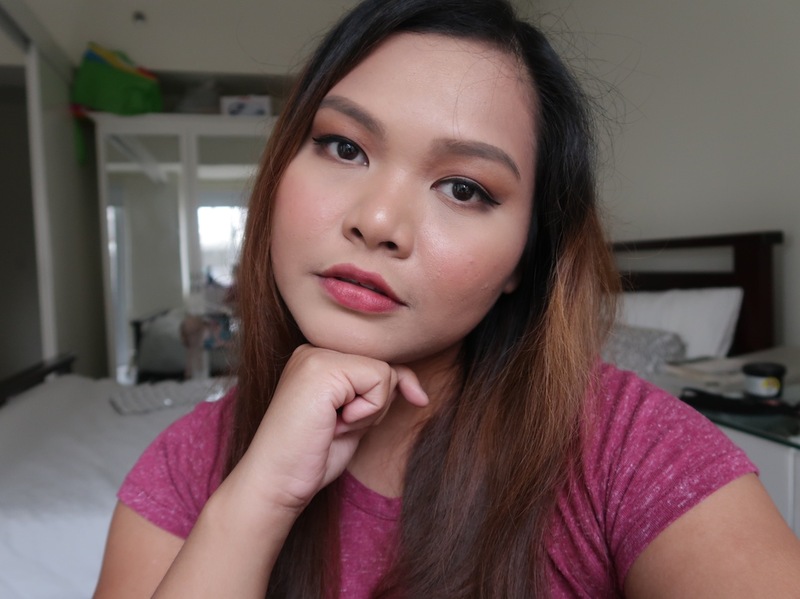 Overall, colors and staying power of Ever Bilena Lip and Cheek Roller are great, and you will love it because it's affordable, but only if you don't break out from it! Please visit EVER BILENA on Facebook for more information about this product. Wow! Amazing talaga si EB, nakikipagsabayan na rin sa mga trends ngayon at bongga ang quality ng products saka affordable pa. Kudos! I've been seeing a couple of posts of this product online. And most of them say that some of the stocks, although newly bought, have a weird smell and it has paper or some sort of plastic inside. Been waiting for your review on this. Thank you so much. Toast of New York looks so nice esp. on you! Pero parang nagmahal na sila? I've seen some vloggers try this out a few months ago when it was only 100 pesos. I wonder if they tweaked something with the formula? I just bought one for my niece coz she keep on askin me if i have liptints..she told me that the one that i gave is nice..teenies nowadays are so into liptints..
Oemgee. It looks so pretty on you!